Flags can be split into two distinct categories: clinical flags and psychosocial flags. Clinical flags are common to many areas of health – for example, red flags for musculoskeletal disorders, which are indicators of possible serious pathology such as inflammatory or neurological conditions, structural musculoskeletal damage or disorders, circulatory problems, suspected infections, tumours or systemic disease. If suspected, these require urgent further investigation and often surgical referral. There are certain signs and symptoms that when observed in a patient’s examination or history alert us to the fact that something could be seriously wrong. In the case of musculoskeletal disorders, physiotherapists are highly trained to identify or rule out red flags. If you suspect any red flags the patient must seek urgent medical attention and it is better to send the patient to A&E rather than risk any permanent, life changing pathology. Recently, orange flags were added to the spectrum, and represent the equivalent of red flags for mental health and psychological problems – alerting the clinician to serious problems that could be psychiatric in nature, and therefore require referral to a specialist in that field, rather than following the normal course of management for mild mental health conditions such as anxiety. Orange flags can include excessively high levels of distress, major personality disorders, post-traumatic stress disorders, drug and alcohol abuse/addictions or clinical depression. Psychosocial flags allow us to identify aspects of the person, their problem and their social context, and how those factors affect the recovery and return-to-work process. The concept was introduced in 1997 by Kendall et al and looked at factors that identified patients who were at risk of developing chronic disability, and did not recover as was expected for their condition. Psychosocial flags enable us to work from a biopsychosocial model and give a framework for assessment and planning. These flags are not a diagnosis or a symptom, but an indication that someone may not recover as expected, and may need additional support to return to work. These flags are often referred to as obstacles to recovery. Psychosocial factors determine outcomes such as activity levels and participation and work, but appear to be less relevant to the reporting of symptoms. Yellow Beliefs, appraisals and judgements Unhelpful beliefs about pain: indication of injury as uncontrollable or likely to worsen. Expectations of poor treatment outcome, delayed return to work. Emotional Responses Distress not meeting criteria for diagnosis of mental disorder. Pain behaviour (including pain and coping strategies) Avoidance of activities due to expectations of pain and possible reinjury. Blue Perceptions about the relationship between work and health Belief that work is too onerous and likely to cause further injury. Belief that workplace supervisor and workmates are unsupportive. Black System or contextual obstacles Legislation restricting options for return to work. Conflict with insurance staff over injury claim. Overly solicitous family and health care providers. Heavy work, with little opportunity to modify duties. Psychosocial flags have been subdivided over the years to reflect the different interactions that can affect recovery. As a result, they are now referred to as yellow, blue and black flags. 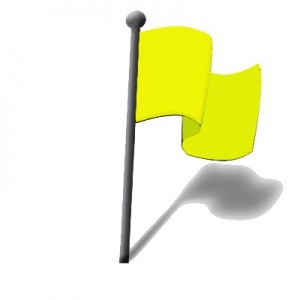 Briefly, yellow flags cover the features of the person which affect how they manage their situation with regard to thoughts, feelings and behaviours. Blue flags concern the workplace and the employee’s perceptions of health and work. And black flags are about the context and environment in which that person functions, which includes other people, systems and policies. Black flags can block or limit the helpful activity of healthcare providers and workplace support. Screening for orange flags is performed by asking questions regarding clinical depression or other personality disorders. Screening for clinical depression is completed with the Patient Health Questionnaire-2 (PHQ-2). The purpose of the PHQ-2 is not to diagnose depression, but rather screen for it in a "first-step" approach. Scoring: 0 points for "Not at all" answer, 1 point for "several days", 2 points for "more than half the days", and 3 points for "nearly every day. The cutoff score for screening purposes is 3. If the individual scores >3, continue with the PHQ-9 for further assessment of depression. Expecting other people or interventions to solve the problems (being passive in the process) and serial visits to various practitioners for help with no improvement. Poor communication between employer and employee. Poor or unhelpful company policies. Often company policies can take two forms: either there is no policy or inadequate policy surrounding sickness absence management and return to work, or there is rigid management of absence within a disciplinary policy system that does not allow sufficient flexibility to deal with genuine injury and illness rehabilitation needs. So how do we go about assessing for psychosocial flags? The literature recommends an early intervention and stepped approach to common health problems. It is believed that psychosocial factors start to become increasingly important between two and six weeks of onset of the problem, and assessment can begin during this period. A stepped approach means using an assessment tool as appropriate for the needs of the employee – for instance, starting by asking some key questions and undertaking a screening questionnaire, and then making further in-depth assessment where indicated by these processes. Of the way the employee behaves, interacts with others, and talks about their condition and work. What do you think has caused the problem? What do you expect is going to happen? Is it getting you down? When do you think you’ll get back to work? What can be done at work to help? A number of screening questionnaires exist that can help to identify flags in more detail. It should be remembered, however, that questionnaires are just one part of the overall assessment process and should be used alongside other methods. A useful one for back pain is the Acute Low Back Pain Screening Questionnaire, which includes sections on Pain Management, Anxiety Levels, Beliefs about Work and Activity Level. Other questionnaires exist for measurement of Fear Avoidance, Fear of Movement and Self-efficacy, and may be a useful addition where indicated. If the methods above have confirmed the presence of flags, then the structured interview is the next step in getting more information about particular issues and flags. An acronym has been developed to help remember which areas to ask more about: ABCDEFW. Heavy physical demands: Are you concerned that the physical demands of your job might delay your return to work? 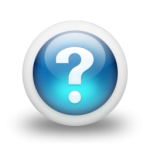 Inability to modify work: Do you expect your work could be modified temporarily so you could return to work sooner? Stressful work demands: Are there stressful elements to your job that might be difficult when you first return to work? Lack of workplace social support: What kind of response do you expect from co-workers and supervisors when you return? Job dissatisfaction: Is this a job you would recommend to a friend? Poor expectation of recovery and return to work: Are you concerned that returning to your work may be difficult given your current circumstances? Fear of re-injury: Are you worried about any repeat episodes of (back) pain once you return to work? An excellent additional method of assessing flags. Whether an informal visit or a more structured one for ergonomic assessment, a wealth of information can be gathered when you are familiar with the flags system and what to look out for. Kendall NA, Linton SJ, Main CJ. Guide to Assessing Psychosocial Yellow Flags in Acute Low Back Pain: Risk Factors for Long-Term Disability and Work Loss. Wellington, New Zealand: Accident Rehabilitation and Compensation Insurance Corporation of New Zealand and the National Health Committee; 1997. Nicholas MK1, Linton SJ, Watson PJ, Main CJ; "Decade of the Flags" Working Group. Early identification and management of psychological risk factors ("yellow flags") in patients with low back pain: a reappraisal. Phys Ther. 2011 May;91(5):737-53. doi: 10.2522/ptj.20100224. Epub 2011 Mar 30. ↑ 1.0 1.1 Main CJ, Phillips CJ, Watson PJ. Secondary prevention in health-care and occupational settings in musculoskeletal conditions focusing on low back pain. In: Schultz IZ, Gatchel RJ, eds. Handbook of Complex Occupational Disability Claims: Early Risk Identification, Intervention and Prevention. New York, NY: Kluwer Academic/Plenum; 2005:387–404. ↑ 2.0 2.1 Main CJ, Sullivan MJ, Watson PJ. Risk identification and screening. In: Main CJ, Sullivan MJ, Watson PJ, eds. Pain Management: Practical Applications of the Biopsychosocial Perspective in Clinical and Occupational Settings. Edinburgh, Scotland: Churchill Livingstone Elsevier; 2008:97–134. ↑ 3.0 3.1 Kendall NA, Linton SJ, Main CJ. Guide to Assessing Psychosocial Yellow Flags in Acute Low Back Pain: Risk Factors for Long-Term Disability and Work Loss. Wellington, New Zealand: Accident Rehabilitation and Compensation Insurance Corporation of New Zealand and the National Health Committee; 1997. ↑ Leerar,P. Boissonnault,W. Domholdt,E. Roddey,T. Documentation of Red Flags by Physical Therapists for Patients with Low Back Pain.J Man Manip Ther. 2007; 15(1): 42–49. ↑ Nicholas MK1, Linton SJ, Watson PJ, Main CJ; "Decade of the Flags" Working Group. Early identification and management of psychological risk factors ("yellow flags") in patients with low back pain: a reappraisal.fckLRPhys Ther. 2011 May;91(5):737-53. doi: 10.2522/ptj.20100224. Epub 2011 Mar 30. ↑ Kroenke K, Spitzer RL, Williams JB. The Patient Health Questionnaire-2: validity of a two-item depression screener. Med Care. 2003 Nov;41(11):1284-92. ↑ Hurley DA, Dusoir TE, McDonough SM, Moore AP, Baxter GD. How effective is the acute low back pain screening questionnaire for predicting 1-year follow-up in patients with low back pain? Clin J Pain. 2001 Sep;17(3):256-63. ↑ Carsten Oliver Schmidt , T. Kohlmann, M. Pfingsten, G. Lindena, U. Marnitz, K. Pfeifer, J. F. Chenot. Construct and predictive validity of the German Örebro questionnaire short form for psychosocial risk factor screening of patients with low back pain. European Spine Journal, First online: 27 August 2015. ↑ Shaw, W.S., van der Windt, D. A, Main, C.J., Loisel, P., Linton, S.J., Decade of the Flags Working Group. 2008. Early patient screening and intervention to address individual level Occupational Factors (“Blue Flags”) in Back Disability. J Occ Rehab. Published online 12/12/08. Springer Science & Business Media. LLC 2008.